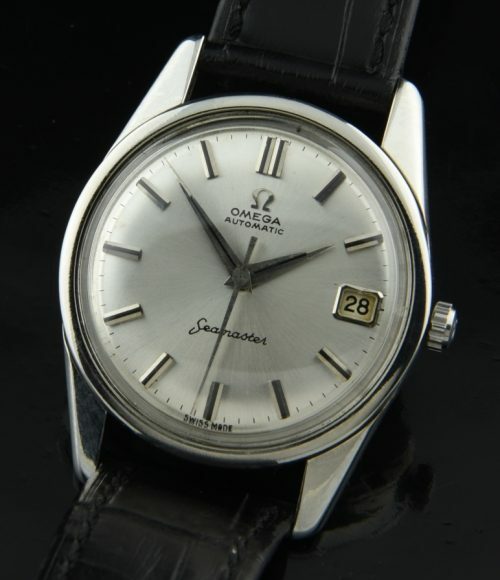 This is one of the finest designs in the OMEGA SEAMASTER range-dating to 196. This stainless steel 33.4mm. case with sea monster raised logo back looks very clean. The proper OMEGA winding crown is installed. The automatic winding caliber 562 movement was cleaned and is accurately keeping time. 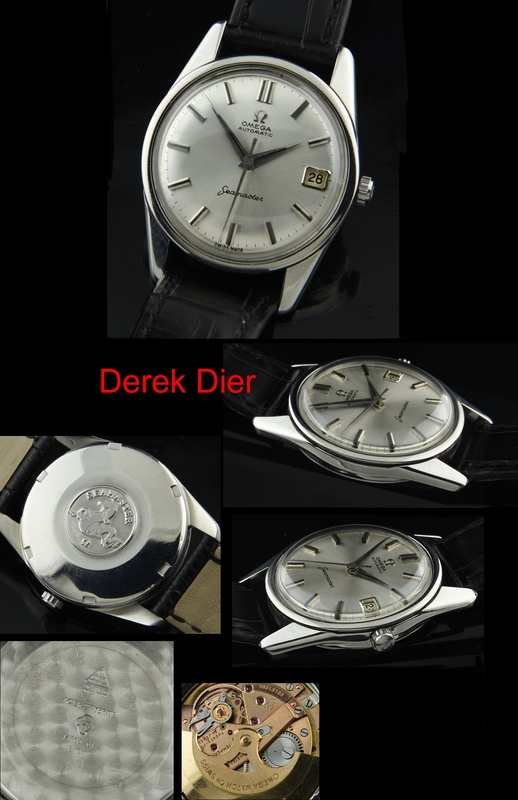 The dial looks quite clean and has desirable raised baton markers with black inset and matching Dauphine hands. These early 60’s Seamasters are amongst my favourites due to their sleek, elongated lugs and simple design. Just $995.